What has six different voices, speaks 16 languages, and covers almost the entire world? -- And it’s adding more languages to its repertoire (almost) every day. At the beginning of the year, the assistent only supported eight languages and even though the number of available languages has doubled already, we can expect more to come before the end of the year. At this year’s Google I/O Scott Huffman, VP, Engineering, Google Assistant, said, “By the end of this year, the Assistant will support 30 languages and be available in 80 countries.” This means that if developing goes according to the plan, we can expect an additional 14 languages before the end of the year. In Scandinavia most people can now speak their mother tongue when communicating with John Legend or one of the five other Google Assistant voices. 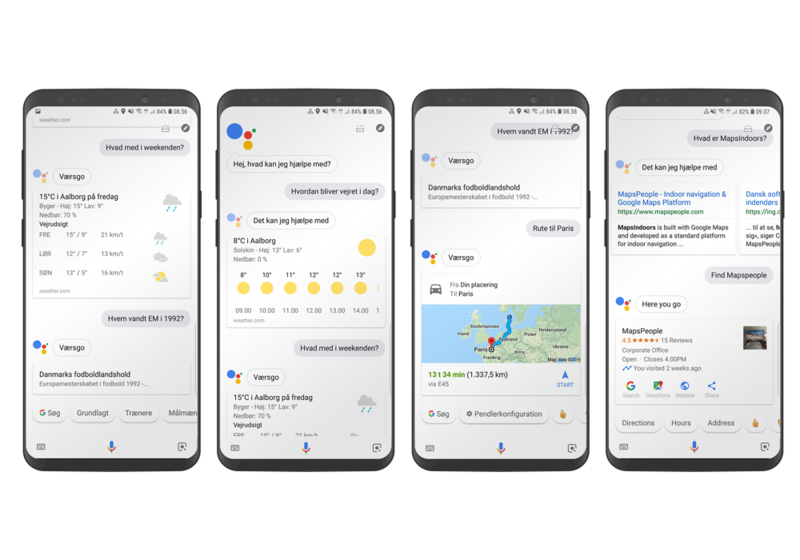 Back in mid-August Google added Swedish as the first Scandinavian language and by the end of September both Danes and Norwegians could also speak their native tongue when using the assistant. This means that Finland, Greenland, and the Faroe Islands are the only Nordic countries whose languages are not yet on the list, but we would be surprised if they aren’t coming in the future. We've tested the assistant to see how it performs and it really works very well. Of course there's room for improvement as it doesn't always understand questions or react when we try to activate it by voice. That being said, we're really impressed with how it performs if you ask it to find things on the internet, give you directions, make a call, or communicate with Spotify. When we asked it to play a Danish children's song on Spotify it even found out that the given song was not available on Spotify in the Danish version, so instead it found the English version and started playing that.